Senate Majority Leader Mitch McConnell, R-Ky., joined at left by Sen. John Barrasso, R-Wyo., speaks to reporters in advance of President Donald Trump's State of the Union speech, on Capitol Hill in Washington, Tuesday, Feb. 5, 2019. 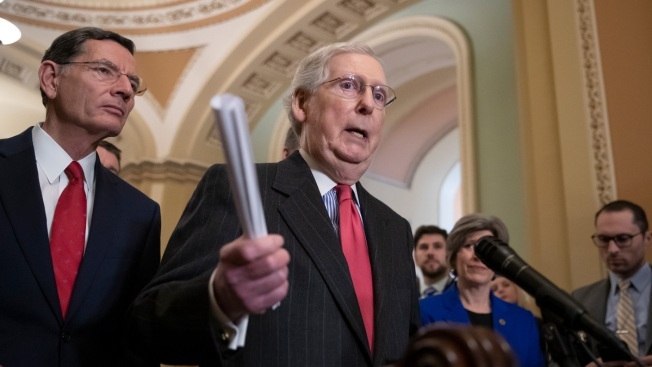 Senate Majority Leader Mitch McConnell is skewing facts when it comes to Republican congressional efforts to stem the type of election malfeasance recently seen in North Carolina. The Kentucky Republican on Tuesday accused Democrats of resisting GOP efforts over the years to address "voter fraud." That's misleading. The GOP efforts McConnell refers to have focused on requiring voter ID, which has no effect in stopping the alleged mail-in ballot fraud seen in North Carolina. McCONNELL: "Now, for years and years, every Republican who dared to call for commonsense safeguards for Americans' ballots was demonized by Democrats and their allies. We were hit with left-wing talking points insisting that voter fraud wasn't real. That fraud just didn't happen. That modest efforts to ensure that voters are who they say they are and are voting in the proper place were really some sinister right-wing plot. As you might expect, now that an incident of very real voter fraud has become national news and the Republican candidate seems to have benefited, these long-standing Democrat talking points have quieted. ...I've been focused for decades on protecting the integrity of our elections." — remarks in the Senate on Tuesday. THE FACTS: McConnell suggested the election debacle in North Carolina could have been prevented by Republican efforts, including his own, to fight "voter fraud" with voter ID laws, and he blamed Democrats for inaction on the issue. But the longtime Republican drive to require people to show identification when they show up to vote is not on point to what happened in North Carolina. The case of malfeasance involving Republican Mark Harris' congressional campaign in November focused on absentee mail-in ballot fraud, not voter impersonation at the ballot box. Voter IDs are powerless to stop mail-in ballot fraud; North Carolina already has a voter ID law in place and the ballot issues involving Harris happened anyway. The North Carolina State Board of Elections last week ordered a new election in the district, citing the voting improprieties. According to testimony during a state elections board hearing, Harris hired political operative Leslie McCrae Dowless Jr., who collected absentee ballots from voters by offering to put them in the mail. Some of Dowless' associates testified they collected blank or incomplete ballots, then forged signatures and filled in votes for local candidates. Dowless was arrested Wednesday on criminal charges over his collection of absentee ballots. McConnell is correct that Republicans and Democrats in Congress have debated election security for years. 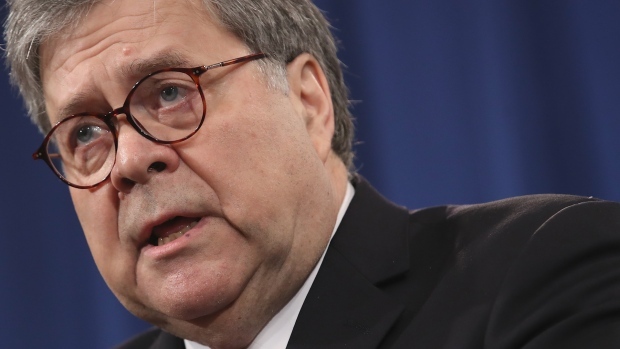 The Republican efforts in Congress have centered on voter ID laws, including an amendment McConnell unsuccessfully offered in 2007 to require ID to help prevent noncitizens from voting at the ballot box. Democrats have opposed voter-ID laws as unnecessarily restrictive for nonwhites, the poor and young people, who tend to vote Democratic. President Donald Trump himself typically points to a need for voter ID when addressing voter fraud. Last month he cited alleged problems in Texas as the "tip of the iceberg," and tweeted, "Must be stopped. Strong voter ID!" He also inaccurately asserted last November that photo ID is required "if you do anything" such as buying a box of cereal, but not for voting. A spokeswoman for McConnell, Stephanie Penn, said the Senate majority leader was seeking to make a broader point about voting fraud. She said Democrats have been hesitant about addressing "ballot harvesting" — the type of fraud alleged to have happened in North Carolina — in a voting rights bill in the House.